Back side features bottle holder, key ring, cell phone pocket, identification holder and pocket for billfold or iPod. 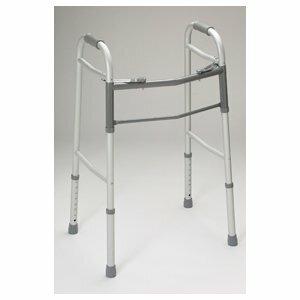 Features include comfortable nylon upholstery, convenient cup holder, seat belt for safety and 8″ rear wheels. 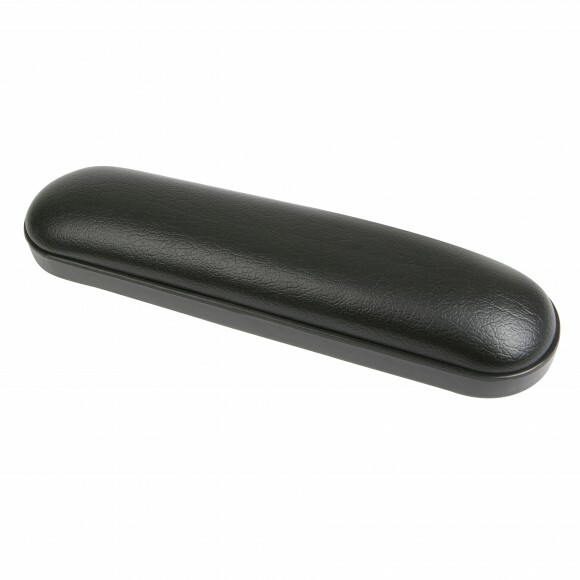 Convenient carrying handles on seat with restaurant-style permanent armrest. 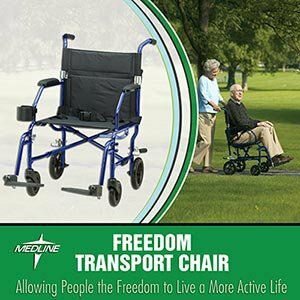 As the lightest transport chair on the market, weighing only 14.8 pounds, the UltraLight Freedom Transport Wheelchair by Medline is the perfect choice for moving someone around a house, neighborhood, or park. 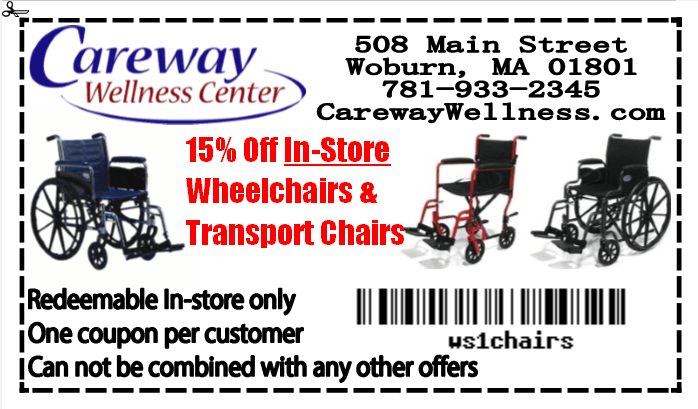 This sturdy, lightweight transport chair has a 19 inch wide seat that can safely support passengers up to 300 pounds. Standard wheelchairs have high armrests that don’t fit under tables. Fortunately, the UltraLight Freedom Transport Wheelchair comes equipped with “restaurant-style” armrests that conveniently fit under most tables of standard height. 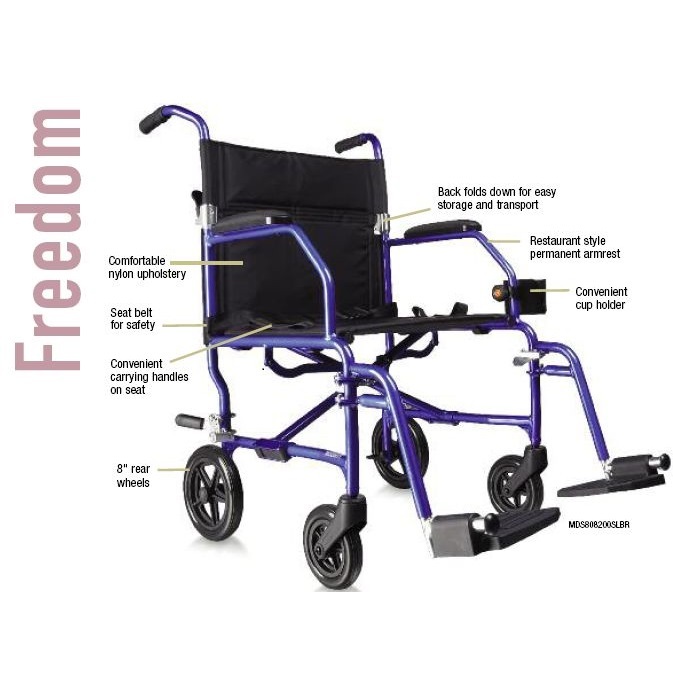 The UltraLight Freedom Transport Wheelchair is constructed of light-weight aluminum. The footrests on this chair are pushbutton adjustable and come with convenient “stow away” clips that lock the footrests to the side of the chair when not in use. This great transport chair also features a side bag that is perfect for storing personal belongings like cell phones, keys, wallets, and other smaller items. The seat and armrests both feature black nylon fabric padding that is comfortable, stain resistant and easy to clean. Included with your UltraLight Freedom Transport Wheelchair is a foldable, lightweight cane featuring a contoured handle handgrip and a non-skid rubber foot. 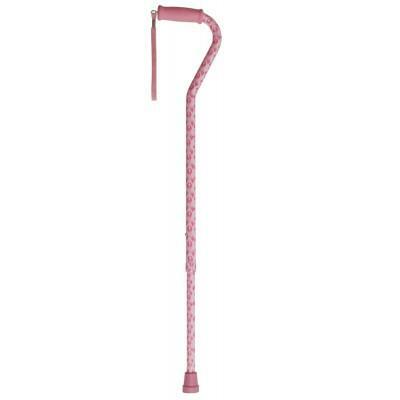 This cane is safe for users up to 250 pounds. A removable cup holder that clamps onto the front of the transport wheelchair is also included. 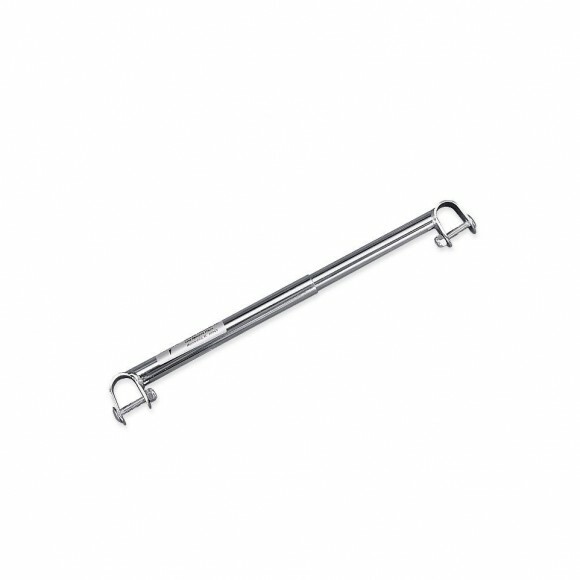 The multiple pockets and key ring located on the back of the transport wheelchair are perfect for storing personal items. Special Offer for local Customers!